Converting to a Roth can extend tax benefits to your children or grandchildren. 1. How Are RMDs Taxed? How you handle your nondeductible individual retirement account at age 70 1/2 depends on how you're using the term. If by "nondeductible IRA" you mean a Roth IRA to which you can make only after-tax contributions, you don't have to do anything. There is no requirement for minimum distributions from a Roth, and you can continue to contribute as long as you have earned income. If you mean a traditional IRA to which you made nondeductible contributions, then you definitely need to act when you turn 70.5. 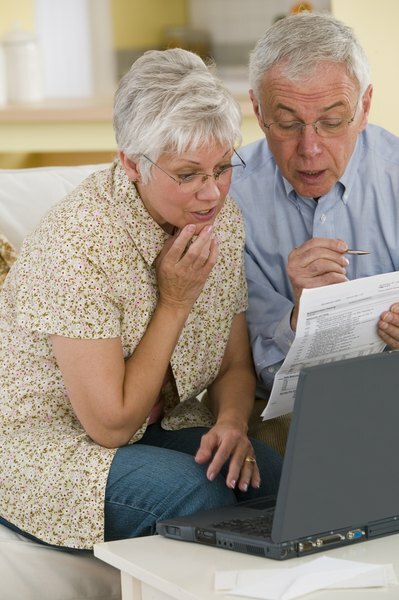 Two things have to happen in the year you reach age 70 1/2 if you're holding a traditional IRA. First, if you haven't done so already, you must stop contributions, even if you still have qualifying earned income. Second, you must arrange to receive your first required minimum distribution by April 1 of the following year. In subsequent years, you'll have to take the required minimum distribution by Dec. 31. For any year that you fail to take your required minimum, you'll be charged a penalty of 50 percent of the amount you should have taken out. To calculate your required minimum distribution for the first year, you'll divide the account balance on Dec. 31 of the year during which you hit age 70 1/2 by your remaining life expectancy according to one of the tables in Appendix C of IRS Publication 590. If all or part of any of your contributions were after-tax, then a portion of each distribution will be taxed, and a portion will be tax-free. You'll receive a 1099-R from your plan custodian for the year of the distribution, and you'll calculate the taxable and non-taxable portion using form 8606, which you'll send in along with your federal income tax filing each year. In effect, you will calculate the percentage of your total account that is comprised of after-tax contributions. That percentage of your required distribution will be tax-free. You can't avoid taxes by rolling over a required minimum distribution into a traditional or Roth IRA. However, this might be the time to consider a Roth conversion of all or part of your remaining IRA balance. You'd pay taxes only on the amount of the conversion that exceeded your nondeductible contributions, and from that point on you wouldn't be required to take any required minimum distribution. If you hold the plan for at least five years after the conversion, you can leave a tax-free inheritance to your designated beneficiary. Better yet, if your beneficiary is your spouse, she can take over the Roth, holding it for her remaining lifetime. She could name a younger beneficiary -- a child or grandchild -- who could then stretch account payments -- and thus the tax-free benefits -- over his lifetime. Keep in mind that you must take your required minimum distribution for the first year before the conversion. Otherwise, not only will you pay the 50 percent penalty, but the amount of the required distribution will be considered an excess contribution to your Roth and subject to an additional 6 percent penalty. A special provision for qualified charitable contributions was extended through tax year 2013. This provision allows you to exclude from your income any transfer from your IRA to a qualified charity and use it to satisfy your required minimum distribution. The transfer must be made directly from your account to the charity -- you can't take the distribution first -- and you must be at least age 70 1/2 when the transfer is made. The maximum transfer allowed is $100,000. If you made nondeductible contributions to your IRA, the transfer will be assumed to come out of the taxable portion of your account first. If your trustee makes a qualified charitable distribution from your account, you won't receive a 1099. But you'll need a receipt or acknowledgement from the charitable institution.